Disclosure: I #TrainWithKohls! This post is sponsored by Kohl’s and is an unpaid review. All opinions stated in this post are my own. 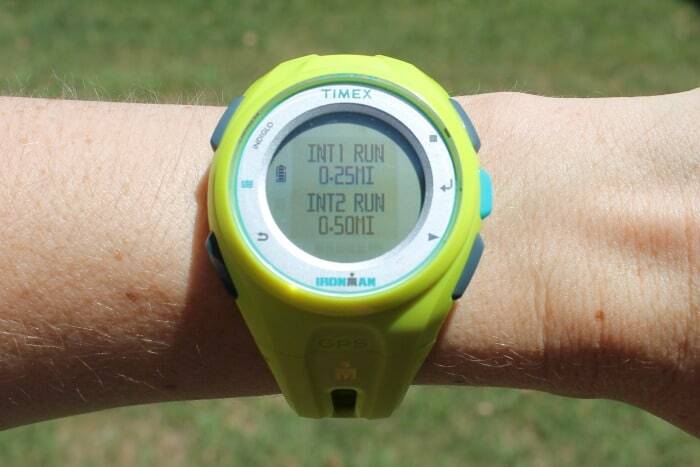 I have a super fun running circuit workout on the blog today and also a review of the Timex Ironman Run x20 GPS watch. Be sure to read this post all the way to the end because (hint, hint, wink, wink) there is a giveaway happening! This is a budget friendly GPS watch that has a very simply and easy to use menu. You can set different alert zones such as pace and speed. For the price this watch does have great functions. It allows for the user to strap it on, head out the door, and track distance and pace or to be used for interval running. Just pick your intervals by distance or time, set your watch, and listen for the beep. This watch does NOT have the ability to sync up with an app or with your computer. If you are looking for something that has this capability this watch would not be recommended. It is also NOT a heart rate monitor. I used the workout and interval function and didn’t have any issues with the GPS. It comes with a USB cable to charge and when the watch is not in use I shut it off to prolong the battery life. This watch is a great fitness watch if you are looking to monitor your distance or to time yourself for cardio intervals. 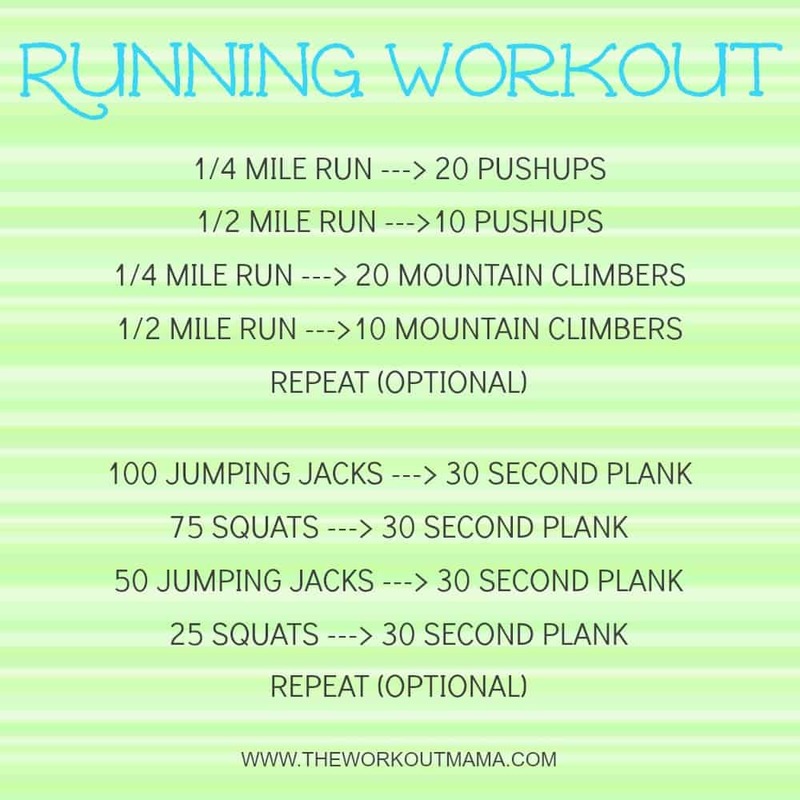 I love to combine running with different exercises to switch up my training. It always makes the workouts go so fast. For the workout below, I set the intervals on the watch to 1/4 mile and 1/2 mile. Once finished with the 1/4 mile run do the 20 pushups and when you are ready to run again if you are using the watch it starts calculating for the 1/2 mile run. It is pretty cool! You can complete the running portion once or do it twice. When you are ready to be finished with the intervals and using the watch you just need to stop the workout. I also really liked the watch had an optional button to view the seconds which made it easy to time the 30 second plank holds. Interested in a GPS watch of your own? You can find this watch and others like it at Kohl’s. They have an awesome selection. But before you buy you might want to ENTER TO WIN the same watch I received right here! 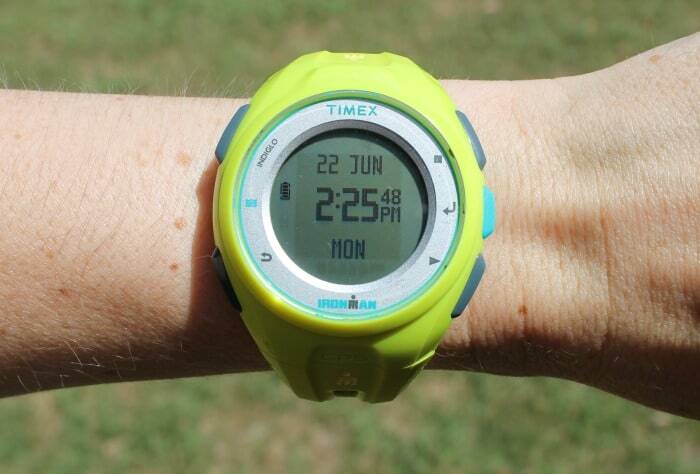 Kohl’s sent me another Timex Run X20 GPS Watch to giveaway! Enter below for your chance to win. Winner will be selected Saturday June 27th! When I run, I use Map My Fitness or the FitBit app to track. I like both of them and find them pretty similar. My favorite place to run is around our community, we have some shaded trails which are sooo nice in the summer! I use the Forerunner 15 for running. I would love to try a different watch! My favorite place to run is on trails. I actually have not used a GPS watch before. I would love to try one out. I actually love to run on our local trail that heads out of town. I love to see the farmland as I run, it is so peaceful. Always inspiring Tamara! I don’t currently use anything to track my runs but this looks like a good one to keep me moving! I have never used a GPS watch before but I would love to try one! I’ve never used a GPS watch but i think it would definitely come in handy!! This watch would be awesome for trail runs around our home! I’ve never personally used a GPS watch, but I’d love to have one to train for my next race. I love to run through the historic, downtown areas of my town. I love running with GPS watches; it’s how I shave minutes off my 10K and marathon times. Focused, paced workouts are key! Yes I have ran with a watch! Unfortunately I am an obsessive watch checker! Ha! I actually don’t have a favorite place to run, definitely not on a treadmill!! But I do looooove outside runs! Especially in fall weather! I love running with GPS apps like Map My Run. I love hearing my splits – though it’s a toss up if that’s a good or bad thing sometimes! I’d love to run with a GPS watch and not have to worry about carrying a pack for my phone. i use my phone for GPS while running, a watch is much more convenient! I am the only one of my running friend without a GPS watch! I use a running app on my phone, but would love the capability to time intervals too. This is a great little gadget. Normally, I would use my phone for something like this, but a watch would be so much easier. I wouldn’t have to carry anything. Thanks for sharing! I would love to try a GPG watch! I love to go running with my husband. We challenge and support each other, while having lots of fun. I have run with a GPS watch. I mostly run around where I live. Thanks for the review on the watch! Very cool! never used a GPS watch and I love running around my neighborhood or a beach on vacation. I like to run outside around my neighborhood and I haven’t used a GPS watch yet. I love to run at my local park around the walkway.